Home » Agra » The Simplicity Of Perfection! How do I begin to define a structure that is more iconic brand than historic monument? A name that instantly conjures up romance and grandeur even when claimed by a humble tea stall, let alone some of the finest hotels and resorts? And whose Chinese made plastic likenesses outnumber the citizens of this overpopulated land? 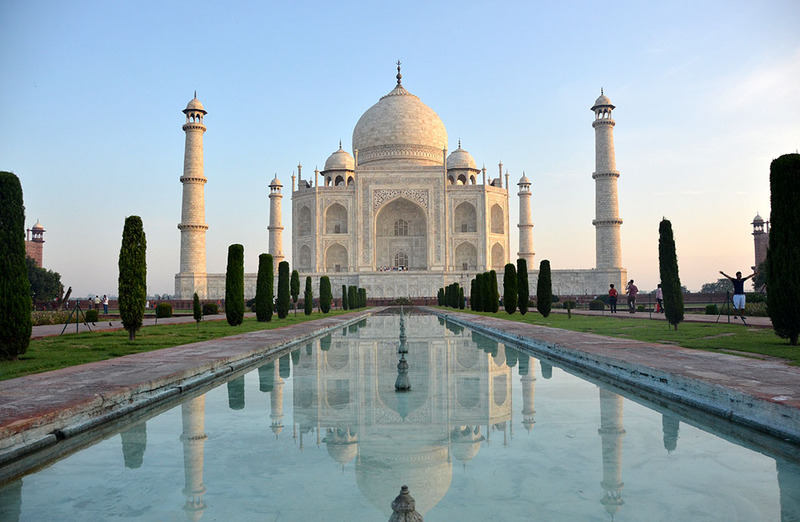 The Taj Mahal, as I am sure all of you know, is considered a symbol of devotion of the vainglorious but art loving emperor Shah Jahan (King of the World) to his favourite queen Mumtaz Mahal…….although his documented sexual proclivities cast aspersions on the myth of his undying love. Yet, this is possibly the only mausoleum in the world of this scale and beauty not conceived for the monarch himself. So the myth endures. As evidenced by the long lines of newly weds queuing up to strike romantic poses on the ‘Princess (Diana!) bench’. Or the lip-locked Western tourists hoping to seal their love eternally. Love is good for business. But the enduring myth edges out the fact that this is still a resting place of the dead with a working mosque next door. Paving in perspective on the riverfront terrace! If I had been born a decade or so earlier I would have honeymooned here. (Clubbed with Kashmir of course.) My sister did. As did most everyone from her generation that could afford the trip. We were creatures of habit that way. If that is where everyone went, then that is where we followed. Then the hype dulled its allure a bit and we (slightly) younger lot looked for less frequented destinations. By the time we had saved up enough to travel, the lure of the newly opened (to us) West was more compelling than the charm of a monument that by then was literally coming out of our ears. In the end we arrived here more with the intention of putting an end to the “You still haven’t seen the Taj?” question rather than a burning desire to see it. Considering all that, despite the hype and the cliches of greatness, the Taj Mahal did not disappoint. It is monumental, it is majestic, it is perfect. So perfect in fact, so cleverly conceptualised its details, that the dominant impression is that of pure simplicity! 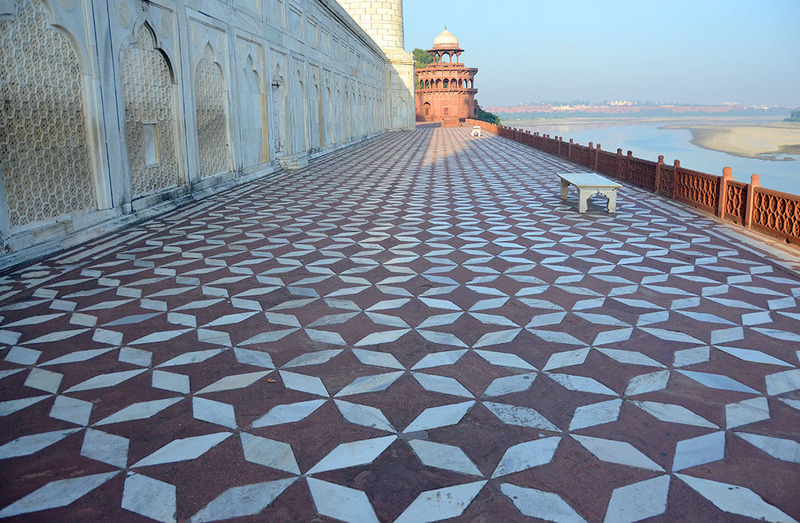 View from the Agra Fort, where Shah Jahan was confined by his son Aurangazeb, in his final years. 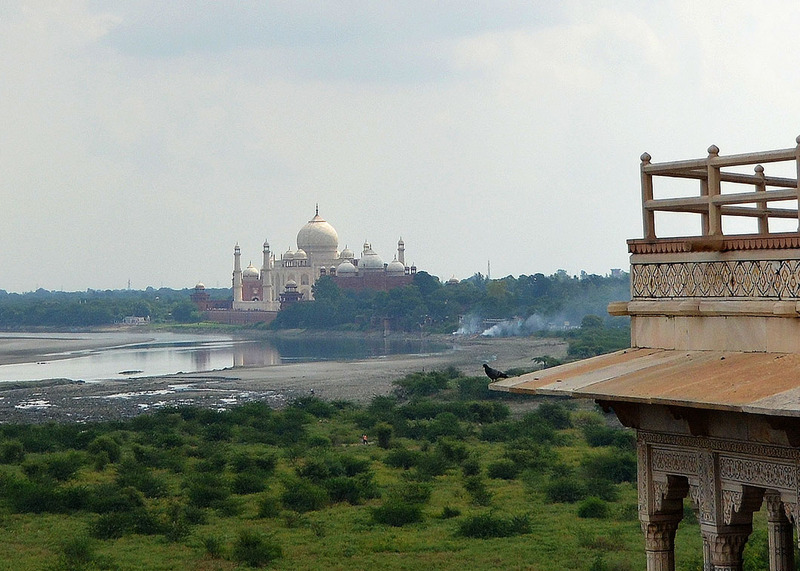 View from Mehtab Bagh – the Moonlight Garden – across the river. I have been thinking about why some people are underwhelmed by the Taj. The common thread among those I know, is the day trip from Delhi. Granted, the new super fast highway gets you here much quicker, but monuments like these are meant to be savoured. The more time you have to sidestep day trippers, the better will be your enjoyment of the site. And the better your photographs. And then there are the alternate views, equally rewarding. Stay overnight. Or two. 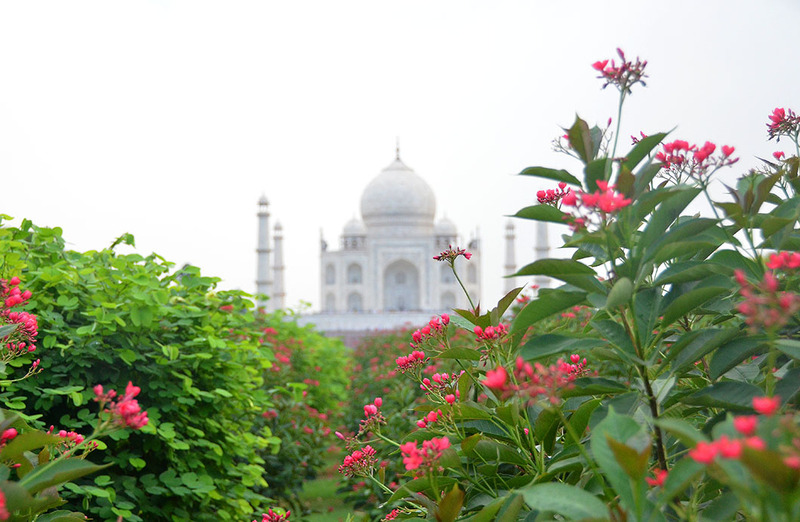 There is more to Agra than the Taj. My apologies for the rather belated thanks for your visit and comment! Oh you bought back many happy memories with this one. I can remember scorching my feet on those marble floors in high summer before the monsoons as you are not allowed to wear shoes but it was worth it. There must have been a lot of complaints Ian, for they now hand out cloth covers to wear over one’s shoes! Madhu – I just came across your blog! wow amazing work! 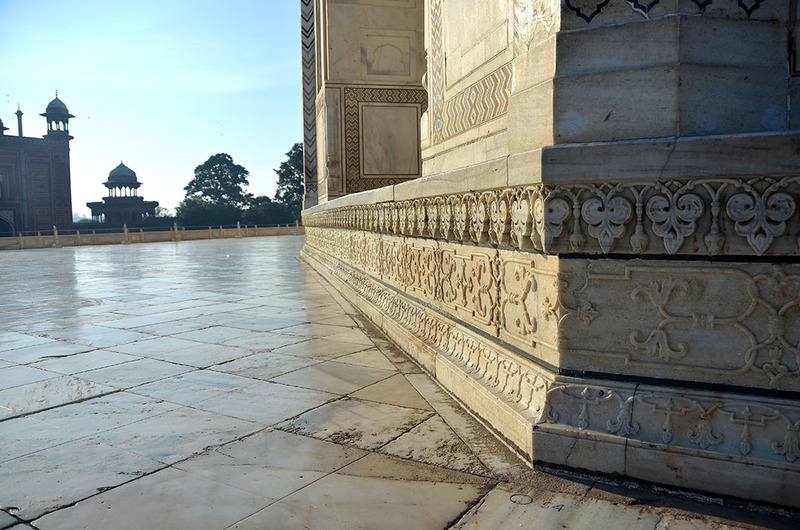 I am sitting at my desk here at work looking at these beautiful images of the Taj Mahal wishing I could visit some day! Wow! I just saw this. Very fine post. You have an unerring eye for the finer aspects. To have this chance to view the Taj thru your eyes is a magnificent treat – even Shah Jahan would be struck with admiration and unending wonder at his worthy creation.